This will be my Christmas card for the tarot people I know, and have the adress to send it. 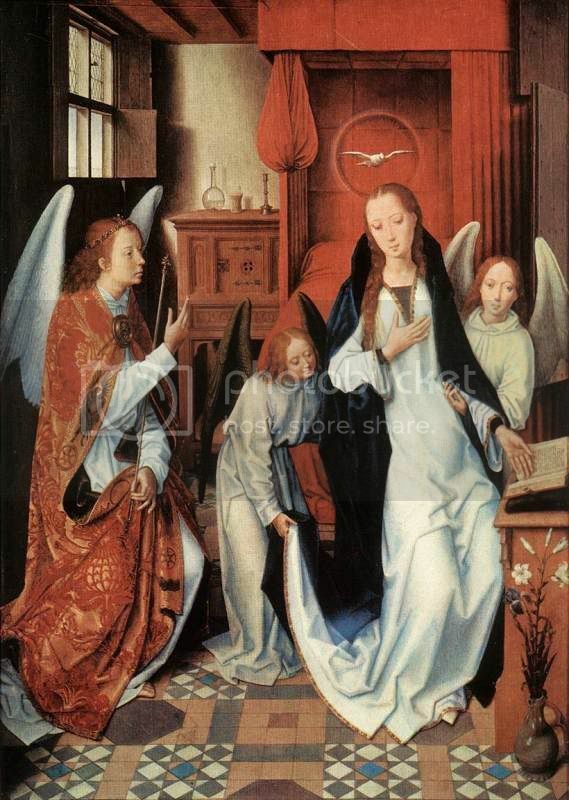 It is the Annunciation by Hans Memling. I love the two angels on the card. Tomorrow I travel to Amsterdam by train. That will take two hours in which I can let my mind wander making up questions for the spread on the back of the card, inspired by the painting.